For young fighters that are starting their careers, timing is truly everything. As everyone is different, it means that some progress faster or slower than others. Sometimes a fighter may be fast-tracked when they should have taken it slower, perhaps the long road is taken when they should be fighting at higher levels. 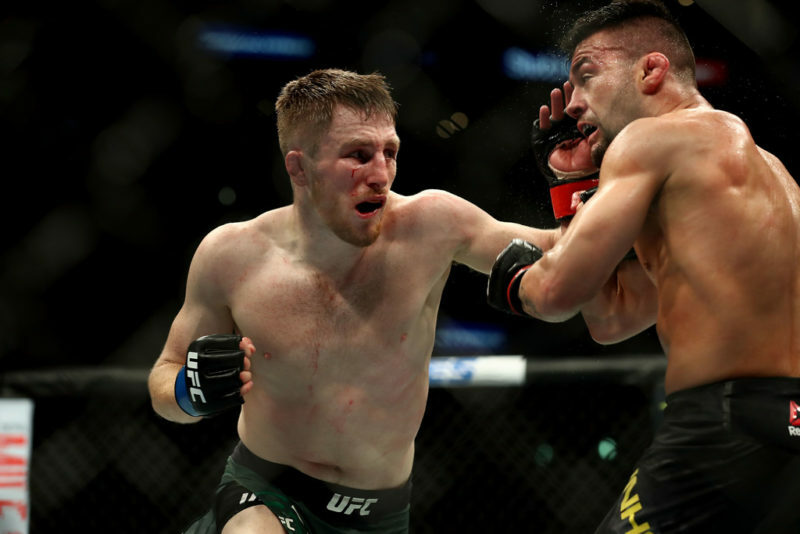 Getting the balance right is hard to find but generally, it will come naturally if the fighter is putting their absolute all into each and every performance. Depending on how frequently a fight is being finished or a fight is being gotten can play a massive role in development as well. Because the quicker the fight ends, the less damage is taken and the opportunity to get right back in the cage is presented much quicker. However, some things can also happen by simple chance that is out of one’s control. 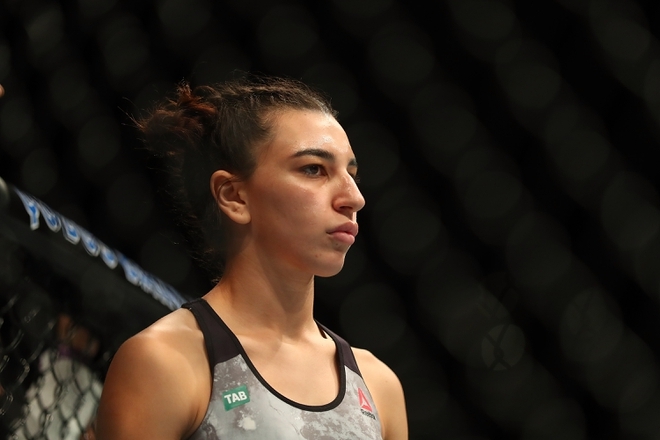 Which happened to be the case for the young Australian prospect, Nadia Kassem. Starting her professional MMA career in 2015, Kassem would quickly rocket herself into the top prospect discussions among fighters at flyweight and strawweight as she alternated fights in both divisions for her first four fights. Her fifth fight would be her biggest as she made her UFC debut by defeating the experienced veteran and fellow Aussie, Alex Chambers. Ready to get back at it as usual after the win, injury would strike thus creating a 14-month gap between fights for the Australian Top Team product. “I’d taken a bit of a fall outside training and I injured my lower back with some bulging discs and things like that,” Kassem told The Body Lock when speaking of her injury. 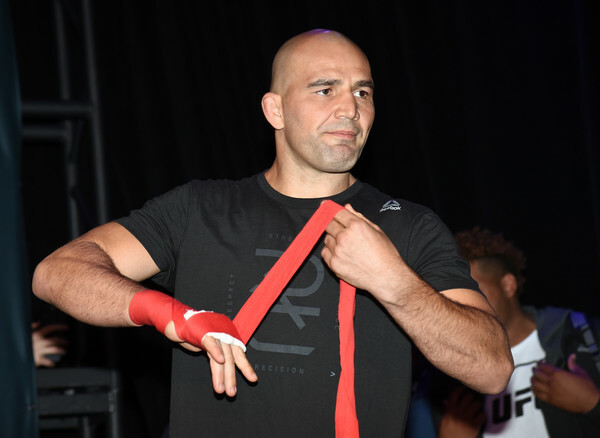 “And I still do feel it here and there but it hasn’t gotten in the way of my training so I’ve been able to push it aside and of course work on it outside with my [chiropractor] and doing all the special treatment I need to do so that I can come back. 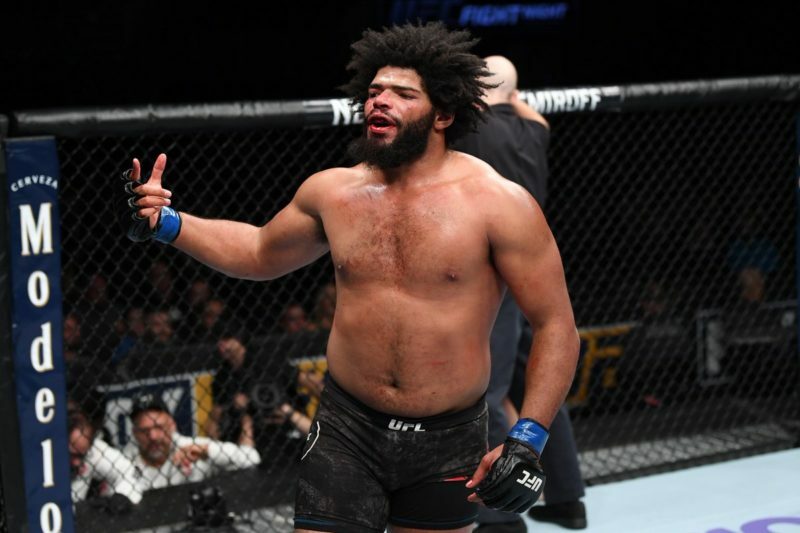 Kassem’s sophomore UFC appearance was supposed to take place in June 2018 opposite Yan Xiaonan. That, of course, was until the injuries struck. At just 23-years of age, Kassem has more than enough time to make up for what she has lost. But that doesn’t change the fact that she’s really been itching to get back inside the Octagon and do what she does best. As nice as it is to dictate and control every single aspect regarding one’s timings and what moves to make, every little step can be critical. Which is why it can be good not to rush things and like the old saying goes, ‘time heals all wounds’. In Kassem’s case, that is quite literally true as she was able to avoid surgery on her back and is now right on track and ready to pick up where she left off in November 2017. Just about every single time there is a fighter on the rise who has won there fights quickly or with relative ease… It’s obviously a very good thing but presents some common question marks. Can the fighter battle back from adversity? Can they show a well-rounded skillset? Can they fight in long fights? These are all questions that the Aussie had to face prior to her arrival in the UFC as her first four career wins came via knockouts. All of which ended in less than a minute and 30 seconds. Therefore, her combined fight time was two minutes and 36 seconds. Against Chambers in her UFC debut, however, Kassem got to answer these questions by defeating her toughest test to date. “It felt great,” Kassem said of the win. “If I walk into a fight, I don’t expect to win but I know that the outcome is normally gonna be a war no matter what. For fighters who are young, leaving lasting impressions is sometimes more important than it may be for fighters who are established. At least more than the new kids on the block. Securing victory is always something to be happy about, no matter how long it takes or what fashion it comes in. But there are still ways that it can be appreciated or unappreciated. More often than not, patience can lead to that opportunity to show those new or hidden tricks. “It was totally different. Like, oh my god let’s make some people some money and try and submit this girl!” Kassem said with a laugh when speaking of her submission attempts in the Chambers fight. “I just had to try and prove a point so when I say something like that I was trying to prove a point… Not just to anyone but to myself too because I work hard in all aspects. Wrestling, jiu-jitsu, stand-up, whatever it is. When I see something, I take it. As is true in sports as it is with life, things are learned by trial and error. Sometimes mistakes that are made can have the most important impacts. Bouncing between strawweight and flyweight prior to the UFC, Kassem decided to give strawweight a permanent go when coming to the UFC. Unfortunately, for her first promotional weight cut vs Chambers, she would miss the 115-pound strawweight mark by four-pounds thus prompting a move back to flyweight which is where she plans to stay. Because of this, she can already see the benefits of not having to worry about one of the many fights outside of the fight itself. 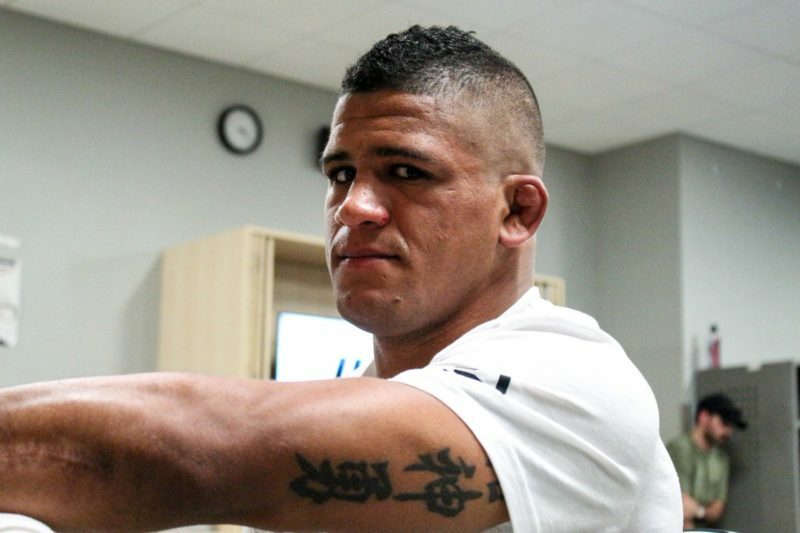 “I think it was the safest decision for me and also mentally I’m able to prepare myself… Not just like purely for the cut, just for the camp as well because I felt like I was so mentally consumed by having to make weight that it got in the way of me improving with my skills as a fighter. And here she is indeed. Despite the youth and layoff, Nadia Kassem is finding herself in bigger spots with each new fight. At UFC 234 on February 9 in her home country of Australia, she’ll get to compete in her second career UFC bout and do so on the main card. In a way, it will be a bit of a full circle for the Aussie as she had only begun watching MMA for six months prior to starting her career. The first event she saw? UFC 193 in Melbourne, Australia… The same city she’ll be competing in this Saturday night. As nice as the moment should surely be, Kassem has yet to ever fight outside of her homeland. Meaning that the audience she’s being exposed to is already more aware of her than others would be. Building one’s brand and expanding their viewership is a necessity in the MMA world today so getting to fight in other parts of the world can be a big deal for fighters. Especially those who are just making their names. Fellow countrywoman and friend, UFC bantamweight Jessica-Rose Clark has shared the notion that the exposure outside of Australia is always great for this exact reason. The time to branch out and gain new exposure will come when it comes, but first things first and that’s the present. There are many pieces to the art of fight prep, but it can be simplified and focuses will spotlight the areas that are best-seen fit. And even though a fighter may do some stalking in the cage, it’s always critical to keep a cool head and put the attention on what matters most. Standing in Kassem’s way at UFC 234 will be another good prospect in The Ultimate Fighter season 26 alum Montana De La Rosa. One way or another, Nadia Kassem’s journey will continue and progressions will be made. Evolution is a part of the game and life itself. When the time comes to adapt and overcome, there’s nothing left to do but fight. Savor each moment of it, because if you blink at the wrong time… It could be lights out.